Blueberry mango tea - Monsieur T.
Blueberry and mango: here’s a great union! Those flavors are the perfect match to this sweet decaffeinated Ceylon (Sri Lanka) black tea. Don’t worry about your sleep time: whole blueberries, mango cubes and the royal blue flowers of Centaurea cyanus contained in this tea will help you relax. 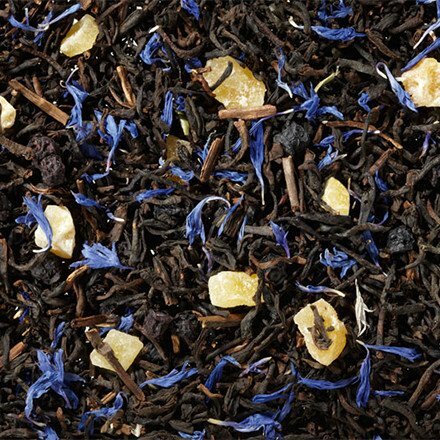 Contains: Decaffeinated black tea from Sri Lanka, mango cubes, blueberries, flavors, blueberry flowers.